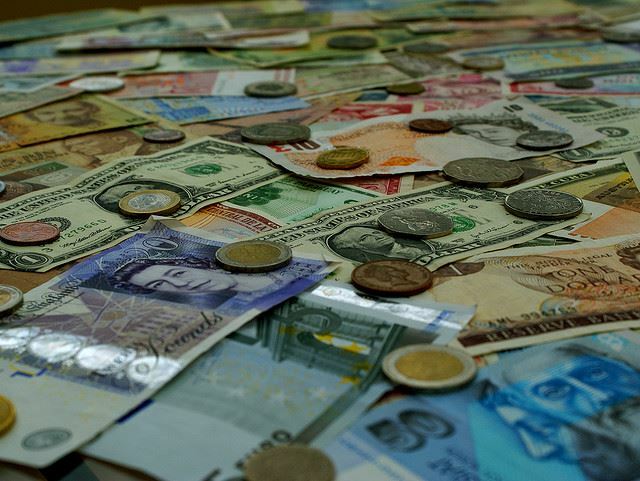 How to Understand Gratuities and Tipping in Spain – Just When Do You Tip in Spain? If you order a coffee at a bar – you don’t need to tip – although we do sometimes if we’ve made full use of the facilities such as reading a few magazines and newspapers or a few toilet runs with the kids. (You’ll never have to pay to use a toilet in a bar in Spain as long as you are consuming something on the premises.) If you order a coffee whilst seated at a table, you don’t need to leave a gratuity but if the service is good or helpful, you could leave small change. As per coffees, we might leave small change especially if given free olives, cheese or jamon etc or if given help selecting a wine etc. If the tapas experience is more of a sit-down affair, we would always tip. 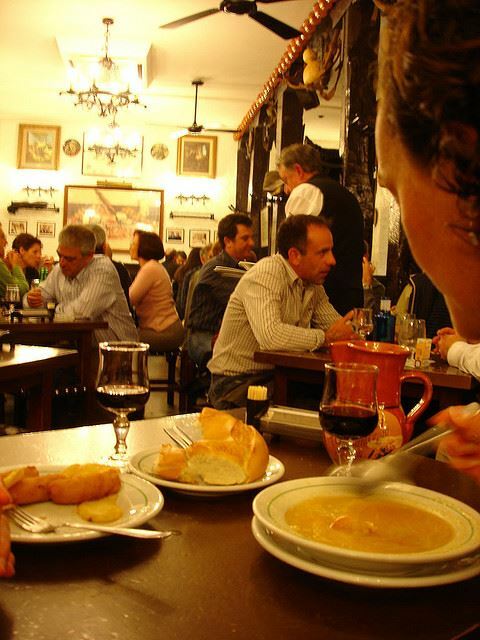 To learn more about tapas in Spain, read our guide to the Unwritten Rules of Tapas. We recommend tipping a bit more when you are eating alone and the place is really busy. We would usually leave an extra euro or even two – although of course this is not expected. 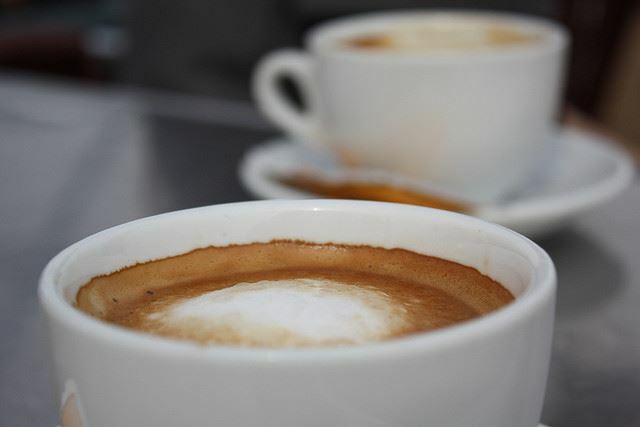 We would also leave a gratuity if you are given free drinks at the end of a meal or if your coffees were on the house. When somebody goes to great lengths to translate a menu, play with your child, or provides extra special attention by preparing a decent kosher-style, vegan/vegetarian or gluten-free meal etc we would tip a percentage of the meal rather than a single euro coin. And if you are out with a large family group and the staff are very accommodating, you should pay a percentage between 5 and 10 percent. And for some reason, probably because the meals are more elaborate – we usually tip more for evening meals. Tips for top class restaurants or Michelin-star restaurants would follow more international lines as you really are getting high levels of service here. We would tip around 10 percent if happy and more if you felt you were given good value for money – which is almost always the case, in our experience. 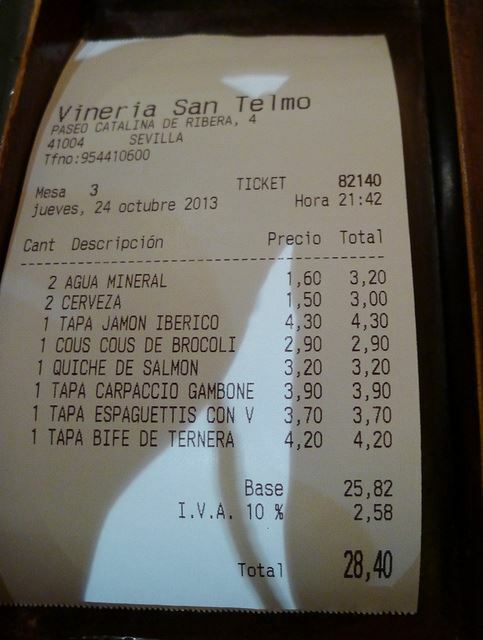 6 Reading the Restaurant Bill in Spain – Have You Been Charged a Tip Already? On the receipt, you may see something that looks like a service charge per person. It may be labelled ‘pan’ which is bread and can be anything up to 2.50 per person. It’s a cover charge that is applied by many restaurants to guarantee a certain amount per diner – which in a country such as Spain where many dishes are shared – is not to be applauded but can be understood. It is exactly that – a cover charge and should not be interpreted as a gratuity. Another line on the bill (often towards the end) you will come across is IVA – this is VAT (a tax) and should not be confused with a service charge either. As with anywhere else, if you want the tip to go to the person who gave the good service – seek them out or refer to them when leaving the tip. Never ask for the gratuity to be added to the meal total and charged on your credit card. 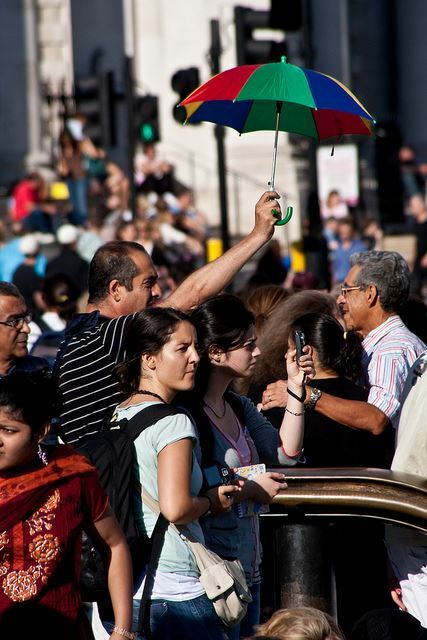 This may be commonplace in many countries but is not in Spain. Cash is king when it comes to tipping. If you are ordering a few beers or wines at a bar in the evening, you don’t need to tip. If you are getting table service and are happy with it, you could leave small change or a few euro coins especially if you are ordering the more expensive drinks such as cocktails and spirits which can be beautifully prepared and are very labour-intensive. If you are having a wine in a small neighbourhood bar and are grateful for a friendly smile, you could leave a small tip at the end when paying. If you’re in a late night bar without table service, you would never leave a tip. Porterage doesn’t really exist in Spain in the way it does in Anglo-Saxon countries. 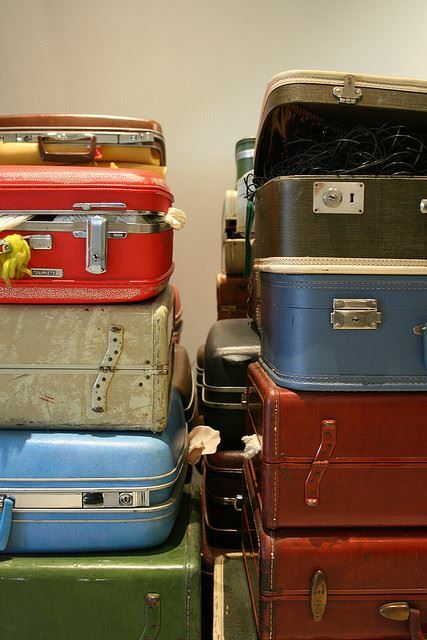 Unless you are in a five-star hotel you usually won’t find anybody designated to help with your bags. If somebody does take your bags from your car or lobby to your room – they should be tipped – usually a euro per bag up to a total of 5 euro. For room service – you can tip the person who delivers your meal or drinks – 1 euro for drinks is plenty and 2 euro for something more elaborate. 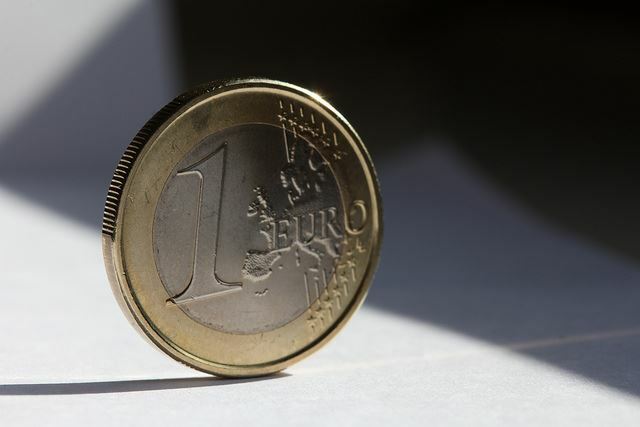 For chambermaids – we often leave a few euro coins at the end of our stay – but it isn’t expected. If you’d like to know more about Spanish hotels, read how to book the best hotel rooms in Spain. For taxis, you could round up the loose change. For example if your journey comes to 9 euro – you could leave the euro if the journey was comfortable and the driver was pleasant. If it wasn’t, just take the euro change. If it was 9.75 – and the experience was good, leave the change. We sometimes find that when you leave a gratuity, the driver will wait to see you get into the hotel or apartment safely – which is nice when it’s late at night in a city you are not familiar with. If you contract a service for assistance at a train station – you could tip but it won’t be expected. You will not find assistance at bus stations or train stations unless requested in advance. Airports are similar. You will not find anybody to assist with bags. If you need assistance such as a wheelchair upon arrival, you need to arrange this in advance. At the hairdressers? If you are getting a trim or blow-dry and it comes to 13 or 14 euro, if you wanted you could leave 1 euro – that’s what we do. You could leave 2 euro if you were given an amazing level of service that went beyond the call of duty – for example if you don’t speak Spanish and the hairdresser really made an effort to understand you and what you needed done. It’s similar for beauticians and spas for treatments. You would leave one or two euro if you wish but it is not expected. For deliveries – you could tip a euro or two if you have you shopping delivered to your hotel or self-catering apartment – especially if you are in a particularly awkward location or if the building doesn’t have a lift. If you are staying in a self-catering apartment and need to get somebody to call out for example a locksmith or plumber, you could tip 5 euro for the callout. For half-day tours with a private guide, it is entirely at your discretion, but we would suggest a minimum of 10 – 15 euros per couple would be welcome and more if you are extremely pleased. We would only suggest this for the private sector eg we wouldn’t tip a state employee at the Prado museum but we would tip a privately contracted guide for a tour of the Prado. If you have a guide for the day you are pleased with, we would suggest a minimum of 15 – 25 euros per couple. Whether you do or don’t tip, remember that when a guide or driver gives you personal recommendations for places to visit or suggest places to eat, and you enjoy their recommendation, you should advise the owner (especially if it is off the beaten track) that you were sent by your guide. It won’t do you or them any harm. And while we are on this topic, if you are particularly happy with your guide or any other self-employed services, you should always let your tour operator know. Spain isn’t the easiest or cheapest country to be self-employed – and we believe an entrepreneurial spirit is to be praised. 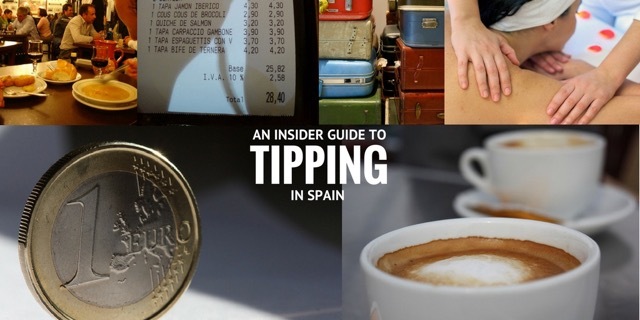 Did you find this guide to Tipping in Spain useful? Why not check out more of our Useful Info, Insider Guides or Popular Posts? And our guide to tipping in Portugal! Posted in Accommodation, Entertainment, Food & Drink, Getting Around, Insider Spain Guides, Popular Posts, Spain, The Travel Industry, Useful Information and tagged bars, cash, eating out, Gratuities, guides, hairdressers, hotels, Porterage, private drivers, private guides, propina, restaurants, Spain, taxis, Tipping.